Mechanical and Electronic Department, Xuzhou Institute of Technology, Jiangsu Key Laboratory of Large Engineering Equipment Detection and Control, Xuzhou 221111, China. Compound motion of double-tamper mechanism causes an impact force on the frame of flatiron-box, which affects the quality of the load when the asphalt paver is running. 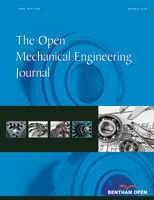 Different from the previous simplified model, in this paper, the double-tamper mechanism with two parallel slider-cranks is considered. According to the analysis of the structure and principle of the mechanism, and considering the size and mass distribution of each component, the inertia force balance optimization for the double vibrating mechanism is calculated. According to the results of optimization, the vibration experiments were carried out on real screed. The experimental results show that, the harmful inertial force produced by the dual tamping mechanism has been significantly reduced, and the stability of vibration can be effectively improved when screed is paving. The research could provide reliable theoretical method and basis for design, manufacturing and use of asphalt concrete paver.